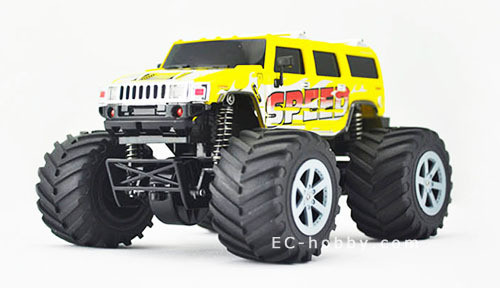 The cheapest, The funniest, Hummer remote control climbing car. It's micro, almost the smallest RC climbing car, but powerful, universal joint shaft Four wheel drive, 2.4Ghz Radio control About 100 meters remote control range. 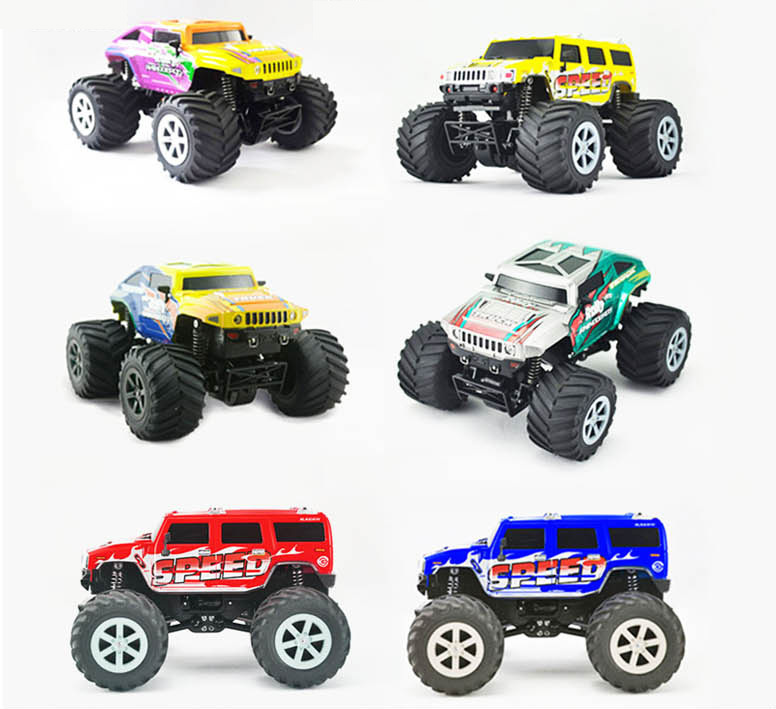 Multiple RC car can be running at the same time, the same location. Notice: It has many colors, will ship random color. 1 x Mini 4WD RC Car. 1 x 2.4GHz Radio control Transmitter ( Use 6 x AA 1.5V batteries , not included ). 1 x 3.7V 600mah lithium battery.